What’s this blog all about? I've always wanted to find a magazine full of articles about things I'm interested in. I'm still looking! Meanwhile, I decided at least I can write about my interests. So that's what I do here: just write about whatever takes my fancy. It's not particularly organised, but there are some recurring themes: books, places and food, for instance. And keeping happy. Hopefully, if you're even a little bit like me, some of it might interest you too. If you have any comments, or positive suggestions for future posts, I'd love to have your support. Just click on Comments, or email me at the address below. Meanwhile, please add the blog to your favourites or click on "Follow" and you'll receive an email every time there's a new post. Thank you! Where the dead feet walked in. Bowing it higher and higher. Yet we were looking away! What can I do with all those apples? You know autumn’s here when you hear someone moaning about all the apples they’ve got and don’t know what to do with! Really, though, this is nothing to complain about – far from it. It’s been a few years since we had a couple of nice apple trees in the garden. We used to have loads of apples every autumn and, over time, I’d collected some lovely recipes which I looked forward to using each year. Sadly, both trees caught some nasty disease and died. We miss them! This autumn, though, I’ve been lucky enough to be given some apples by family and friends who do have trees and it’s been good to revive my favourite apple recipes and pass them on. With careful planning, your apple tree can give you pleasure all year round. If you’re not sure whether they’re cooking or eating apples, try a sample when they’re ripe (i.e. the pips will be brown). If they’re cookers, they’ll taste very sharp and they also tend to have thicker peel. You could also try cooking one. A cooked eating apple doesn’t taste of much at all whereas a cooked cooking apple is delicious. Divide your apples into blemished and unblemished ones. The blemished ones need to be used first, whereas those with no marks on them can last for months if you wrap them in newspaper and store them somewhere cool. Just make sure they’re not kept too cold, because frost will spoil them. Blemished eating apples need to be eaten quite quickly and you don’t have many options except to cut out the bad bits and eat them. So if you’ve got a glut, pass them on to friends! Cooking apples, however, are a different matter and there are lots of wonderful things you can do with them. A simple idea is to peel and slice them, then put them into plastic bags for freezing. They’ll be great stewed for desserts or to put on breakfast cereal and they combine well with most other fruits. They’re also lovely when added to savoury dishes such as Normandy chicken, roast pork and curries. There are hundreds of lovely apple recipes to choose from. Here are my favourites, all tried and tested year after year. When my children were small, I encouraged them to eat broccoli by calling it “baby trees”. If time permitted, we could make dinner look more appealing to young eaters by arranging the food on the plate as a garden with a forest of broccoli on the plate rim. Actually, it is one vegetable which appears to be quite popular with young children. Apparently it’s a regular favourite in school dinners – as far as any vegetables are favourites with children, that is. Apparently some people don’t like coriander (known as Cilantro in North America)! I find that hard to believe. There’s even a website for people who hate it! How could anyone possibly hate the fragrant, distinctive flavour coriander brings to so many dishes. ?Though, if overdone, I suppose maybe it can be a bit insistent at times. What’s not to like about carrots? 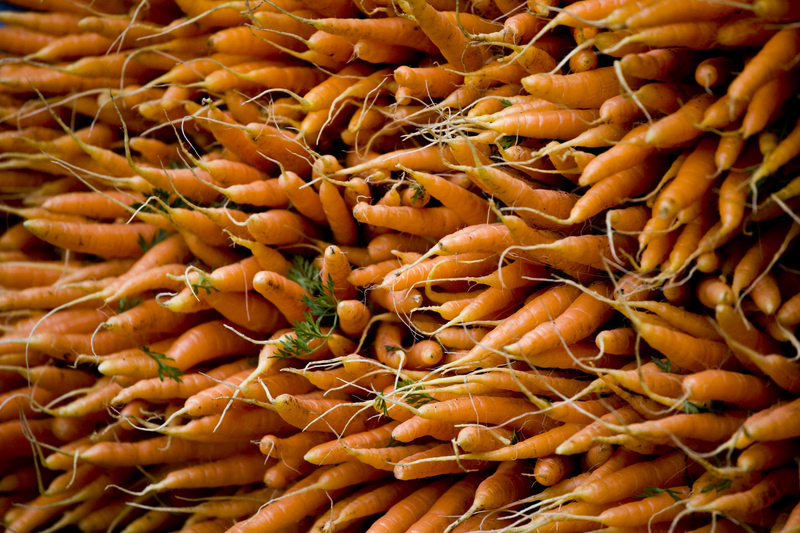 Carrots are cheap, readily available, eminently versatile, easy to store, filling, nutritious – and colourful. What’s more, you can enjoy them both raw and cooked. No wonder carrots are the UK’s favourite veg!